The biggest Greyscalegorilla HDRI pack ever is here, a new 12K HDRI pack, Ultimate Skies. From sunrise to sunset, you're bound to find the perfect sky for your renders. Gain total control over the sun, no more unwanted flares. 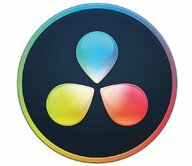 Ultimate Skies is compatible with Cinema 4D (requiring HDRI Link or HDRI Studio Rig), Maya, 3ds Max, Houdini, Element 3D, and more! Tell all your Autodesk and arch viz friends. Don't delay! Download Ultimate Skies at a limited time introductory price of only $139. You only have a few weeks to save before the price goes up! 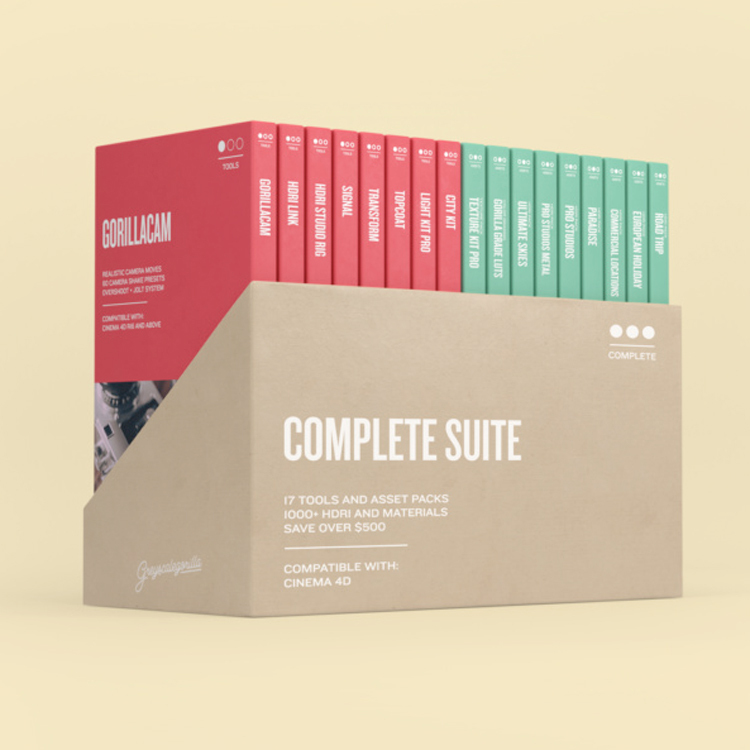 This suite includes every single Greyscalegorilla animation, lighting, and rendering tool for Cinema 4D, plus HDRI and texture packs. 11 Tools and Assets for Physical and Standard Renderer. 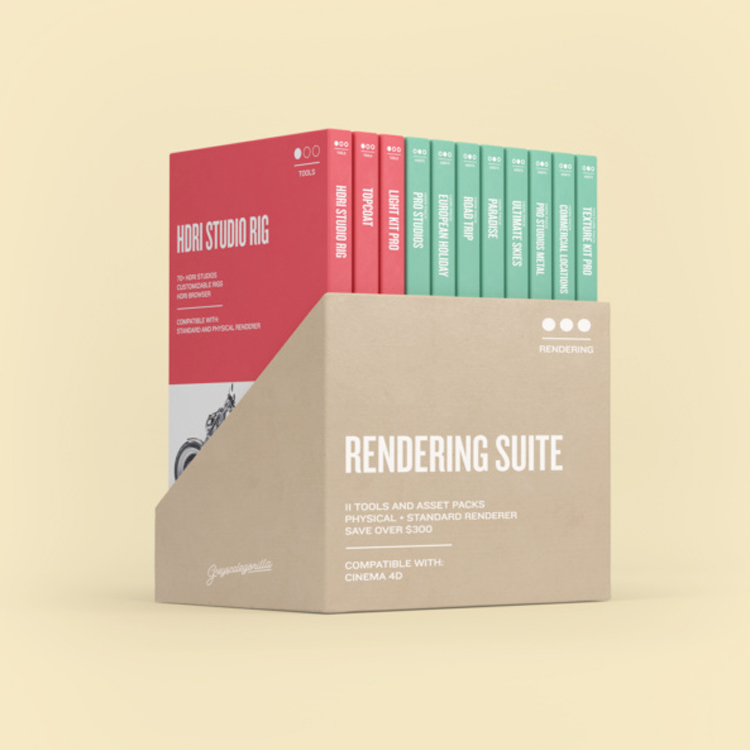 This suite includes the must-have rendering tool for Cinema 4D, HDRI Link, plus 7 HDRI packs.